Keep your operation moving cleanly with SpillPro cleaning and safety products. We offer everything from purpose-built hand cleaner stations to hearing protection. That's because we're committed to being your one point of contact. So when we supply a machine, we can also supply everything you need to keep it running – right down to the degreaser. Why choose SpillPro cleaning and safety products? For 15 years, SpillPro has been Australia's foremost supplier of spill-related cleaning and safety products. Just ask the likes of Rio Tinto. ExxonMobil. And BHP Billiton. But we don't just supply cleaning and safety products. We can train your staff on their safe and effective use. And schedule equipment services that suit your timetable. Even if you want general cleaning or safety advice. Just pick up the phone. Because we're based right here in Australia. We're your single point of contact for end-to-end cleaning and safety management. 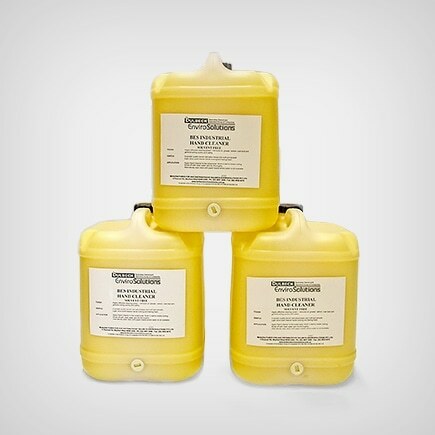 SpillPro supplies everything you need to ensure a safe, clean workplace. Our wide range of cleaning and safety products includes head-to-toe protective clothing. Personal hygiene and sanitation products. As well as machine cleaning detergents and degreasers. SpillPro also supplies a wide range of personal hygiene and sanitation products. Together with our safety products, they help you maintain a clean and safe workplace that runs like a well-oiled machine. Keep your operation moving cleanly with SpillPro cleaning products. We offer everything from purpose-built hand cleaner stations to bulk paper towels. Because we're committed to being your one point of contact. So when we supply equipment, we can also supply everything you need to keep it running – right down to the degreaser. SpillPro also carries a wide range of personal hygiene and sanitation products. So we have everything you need for a clean, safe workplace.